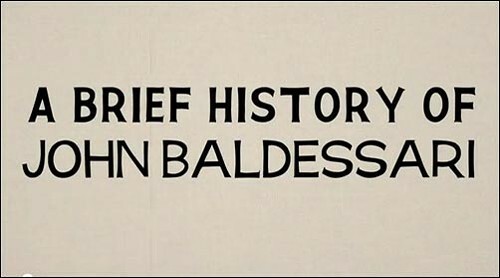 If you don't know anything about the great conceptual artist John Baldessari, there may be no better short introduction than the six-minute video below, which is expertly edited and narrated by Tom Waits. But even if you're the world's biggest expert on Baldessari, you'll love this wild ride through Baldessari's life, interspersed with banal objects from his workspace—his pushpins, his desk, his dog, his wi-fi password. And you really can't beat the way Waits pronounces "Biennale."